Why oh why can't we live in a world with beauties like this gracefully moving through the sky? 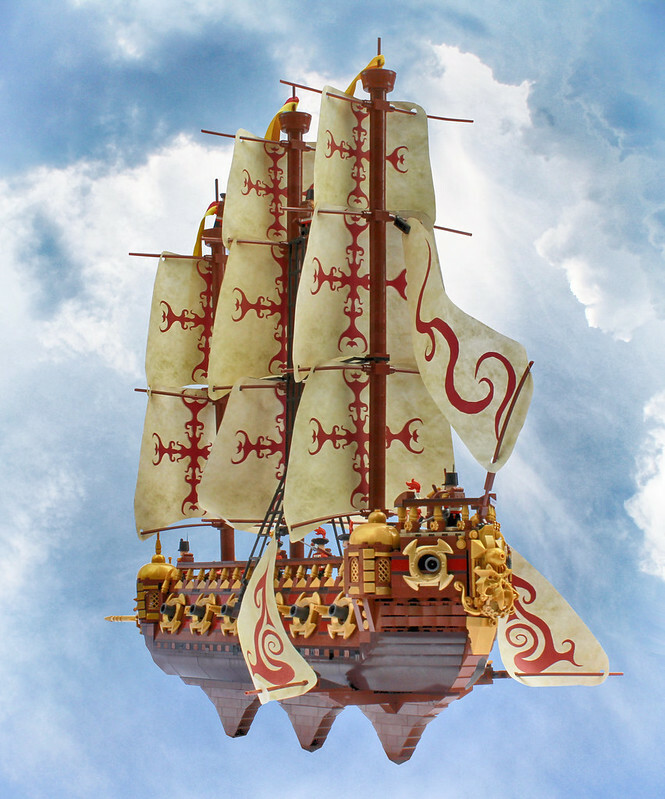 This is the Bellonatus by builder Mark of Falworth, and it's gorgeous. 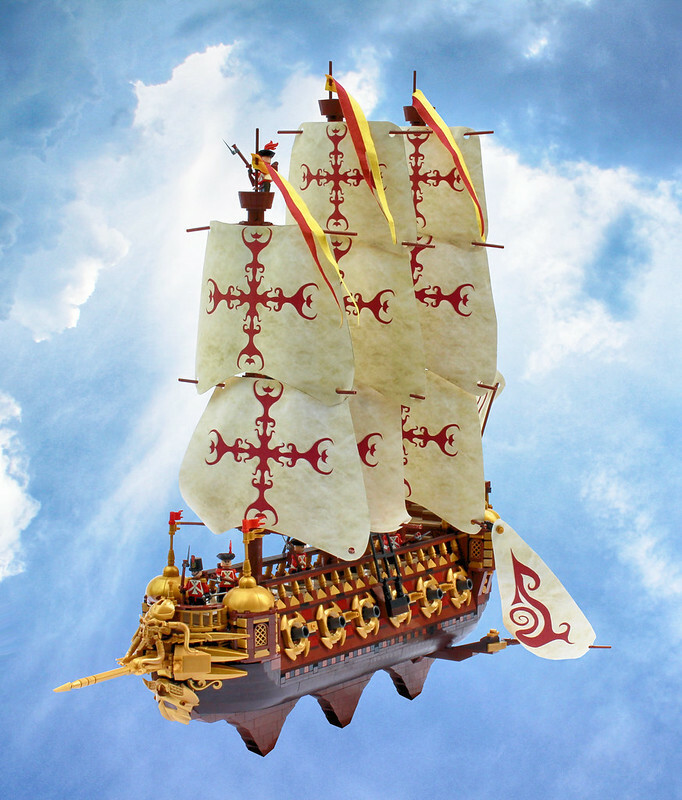 But don't let it's lovely appearance fool you, it's also armed to the teeth with no fewer than 14 cannons and a fearsome bow ram. Beauty and beast in the same vessel.